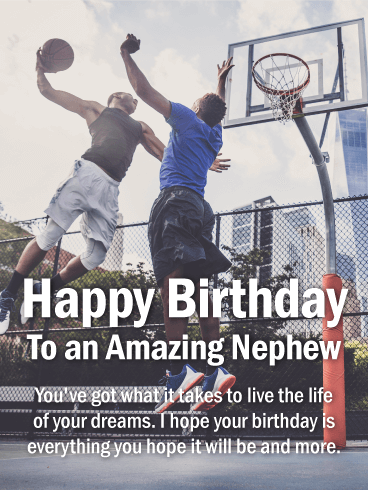 Encourage your nephew on his birthday with this basketball birthday greeting card. 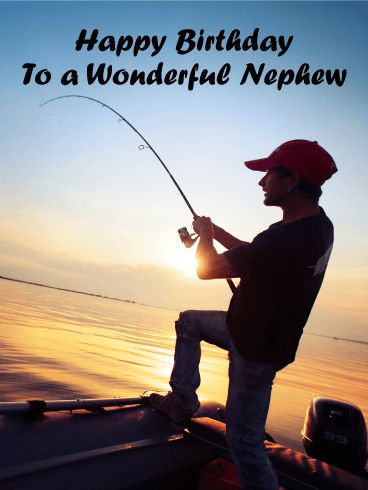 Remind him that he's got what it takes to make it in life and make his dreams come true. 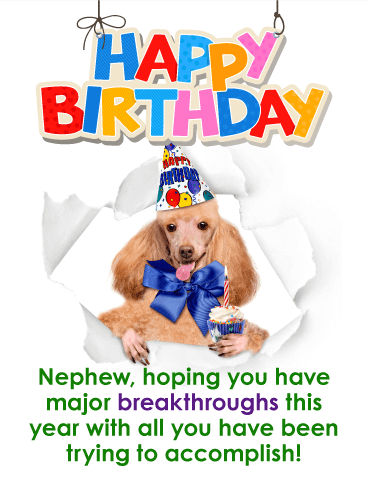 Nephews find personal inspiration in their favorite athletes and in challenging their limits and taking risk. 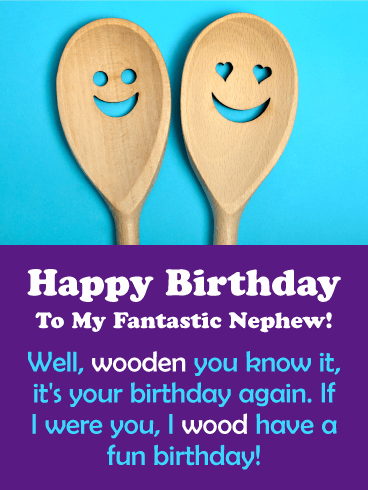 This athletic birthday card packs a birthday punch of awesome for any sports fan. 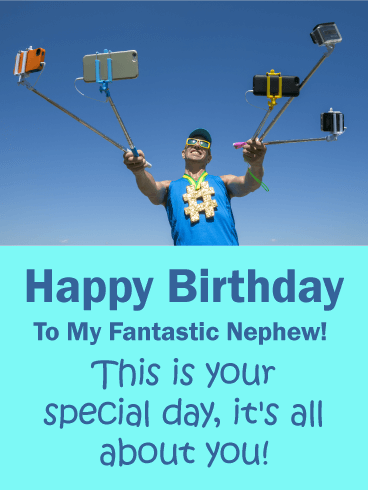 Happy Birthday To an Amazing Nephew - You've got what it takes to live the life of your dreams. 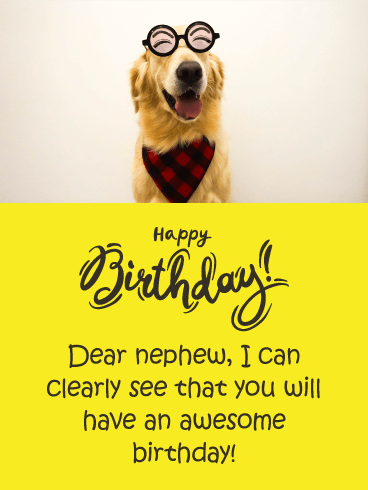 I hope your birthday is everything you hope it will be and more. The sound of a basketball swishing in the net is pure bliss for any bball fan. 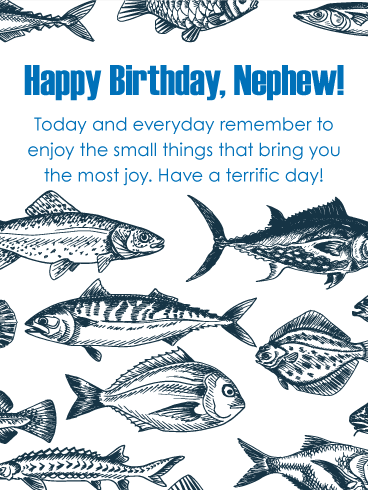 Send your nephew this basketball birthday greeting card and wish him a day that's nothin'but net. Life takes guts. 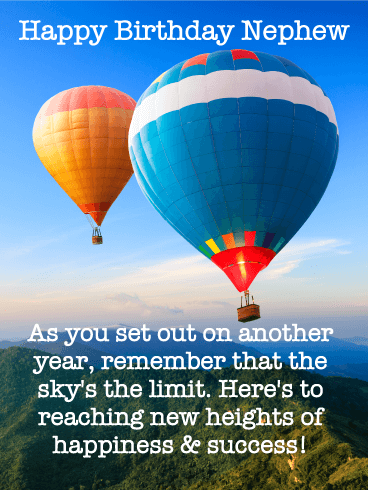 For any athlete or sports fan, it's about playing hard, taking risks, and living large. 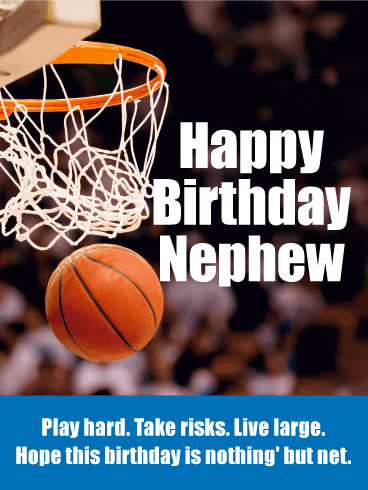 This basketball birthday card is great for a nephew who loves to play sports and enjoys getting in the game. 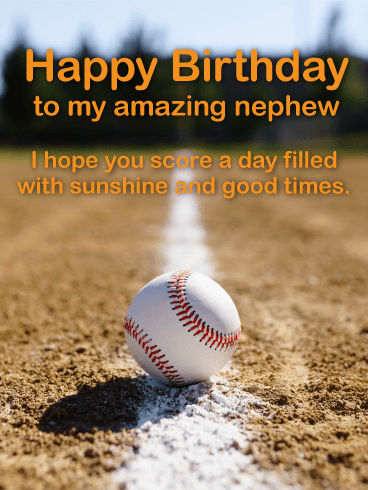 No strikeouts on birthdays! 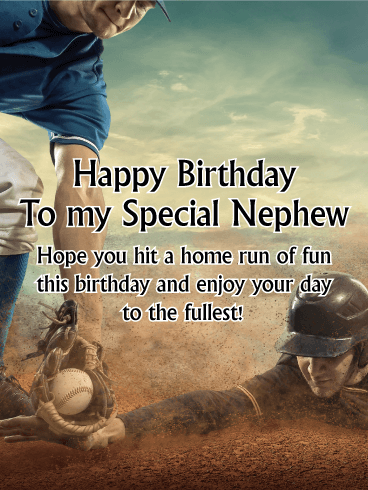 Wish your amazing nephew a home run of fun on his special day with this baseball birthday greeting card. 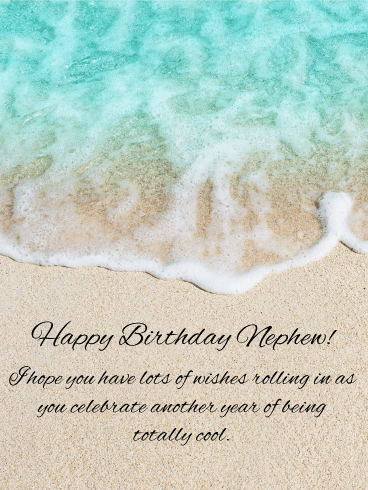 Help him slide into the day feeling on top of the world with a thoughtful birthday card. 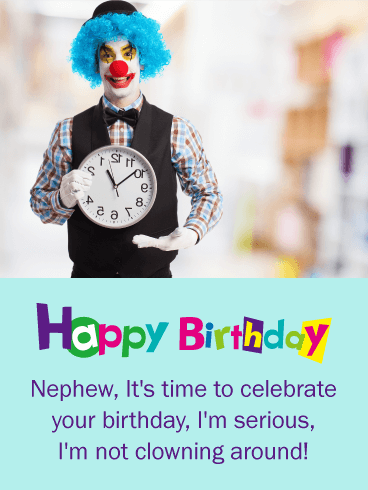 It's quick and easy to send a fun birthday message to your nephew that he will really enjoy and appreciate.